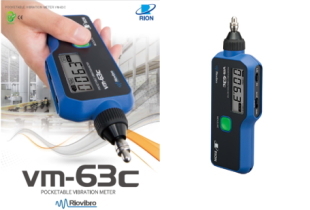 【New】Pocketable Vibration Meter (RIOVIBRO) VM-63C Released!! Pocketable Vibration Meter (RIOVIBRO) VM-63C Released! !